What are the reasons corporations collect art? There are definite benefits to the company, their employees, clients and the community, as well as to the artists represented in those collections. Let’s take a look at the ways a corporate art collection affects each of those groups. Art in the work environment improves the quality of life for employees, many of whom may spend most of their time in that space. Studies have shown that art in the workplace also increases employee and corporate productivity and creativity. Art can stimulate conversation, networking and ideas. When choosing art for work spaces, the curator may choose pieces that are energizing or thought-provoking in key meeting areas. An environment filled with visual art creates higher rates of employee satisfaction. This leads to increased motivation, and lower workforce turnover and disruption. Art can provide a warm welcome to everyone who visits, beginning with sculpture or other outdoor pieces near an entrance or on the building itself, and continuing with the collection displayed in the interior of the building. A corporate art collection may convey the corporation’s culture, brand image, and core values. A thoughtfully chosen collection can help the corporation to set itself apart from its competitors, and act as a symbol of their focus. An art collection may indicate the company’s favorable financial status and authority, which is a signal of success that tends to inspire client confidence. Art in waiting and reception areas and in conference rooms can provide relaxing or comforting images that put visitors at ease. This can be especially helpful in healthcare and hospital settings. Artwork in corporate environments may reflect its relationship to the surrounding community, sending a message that the company is highly invested in and has made a long-term commitment to the area. Outdoor art especially touches the community at large, providing a sense of connection and goodwill. Corporate collections that include the work of local artists strengthen their image as supporters of the arts, and the community at large. Displaying artwork can improve public relations, showing appreciation for the arts as an indication that the company is a good civic partner. When artists have work acquired by corporations for their collections, they can reach a new audience of collectors by virtue of the visibility they gain. Press members are looking for local news, and artists with work in local corporate collections are newsworthy. With art in a corporate collection, the artist can build a reputation of creating work that is appropriate for and an enhancement to a corporate environment. The more artists understand the motivations that corporate clients have, the better they are able to prepare and present their work for the commercial setting. 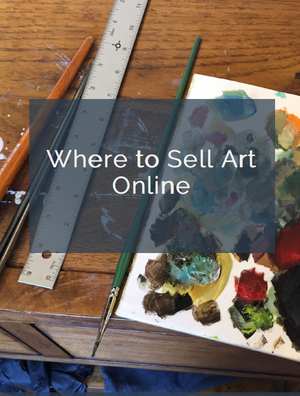 Take a look at whether your own art may belong in the corporate world. Is this market a good fit for you? I am delighted to have found your website! Two consultants have told me that my work would best fit in a corporate environment. It has been a challenge to approach this type of market and at this time, the overtures I have made have been met with silence…. I just came upon the workshop, posted on your website, that will be held in Santa Fe. Would this be something that could be helpful? Thanks for your comment, Lynn. Any time that an artist has identified a potential market for their work, it takes research and planning to not only understand the needs and concerns of that client, but also ways to approach that market. You are seeking to connect B2B. And as a potential vendor, you must be very proactive in prospecting, working with representatives and decision makers (such as art consultants, interior designers and others). You mentioned that your overtures have not produced results, and this could be for any number of reasons. The Santa Fe workshop, happening in April, 2018 is an opportunity to learn about the business side of art, and creating a plan for growth. I think it would be an excellent match for the needs you have expressed.